To answer the question, I decided to become a 6th grader myself and report back. 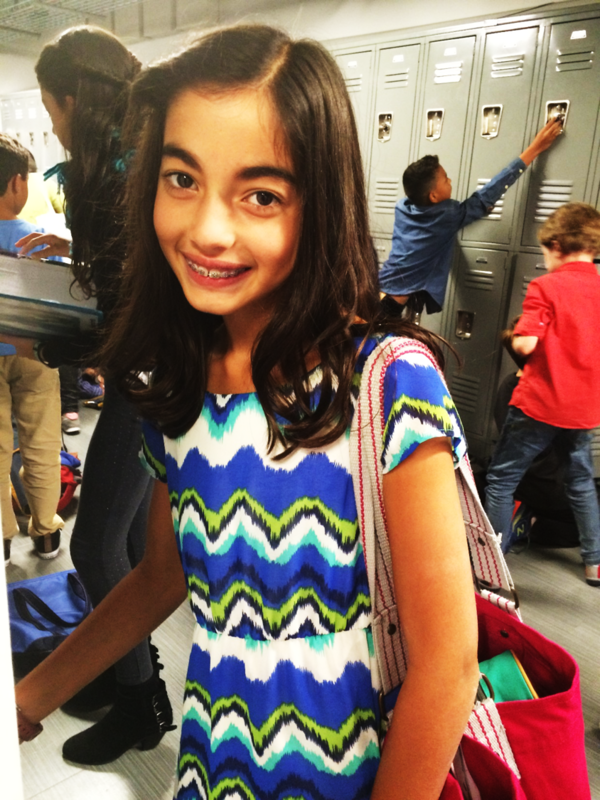 I followed a student, Yasmin, and her class 6 Oxygen* for an entire day to experience 6th grade through their eyes. I then had an impromptu debrief with a few students afterwards as we waited for the bus. 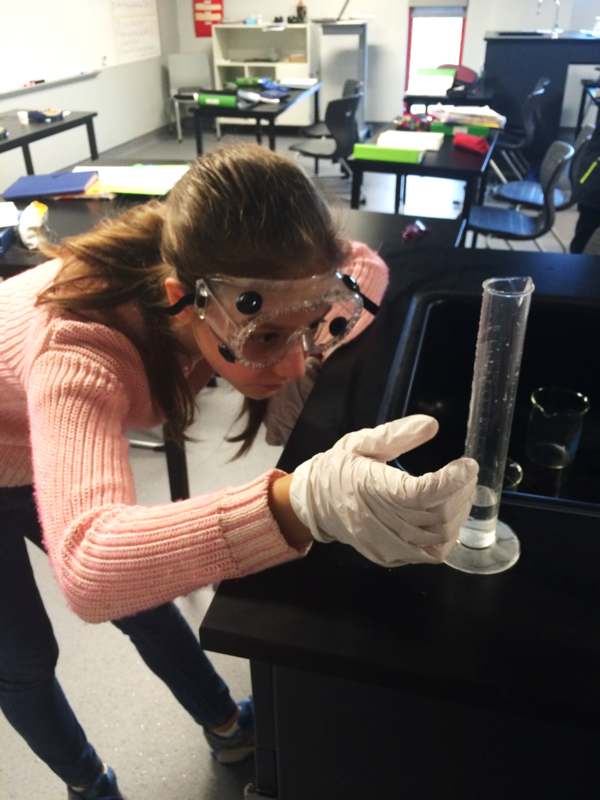 Chemistry, Latin, Physical Education, and the Arts… An Engaging Morning! During my first class, chemistry, students had an exam on lab safety, density, volume, and mass. Students assured me that they do plenty of labs as 6th grade is the first year BASIS Independent students participate in a discipline-based approach to science. What this means is three times a week each they have chemistry, physics, and biology all in laboratory settings. After the 50 minute** class was over, we walked to Latin, which is a course required of all 6th grade students. We reviewed word endings and how to identify feminine, neuter, and masculine words. We wrapped up by practicing Latin orally via QTalk, the interactive program we utilize for foreign language classes. Aside from the thrill of witnessing students communicate in and interpret a foreign language, it was pretty amazing to watch connections come to life in Latin. While still early in the year, students are already connecting the dots between what they are learning in their science courses through the lens of etymology and language roots. 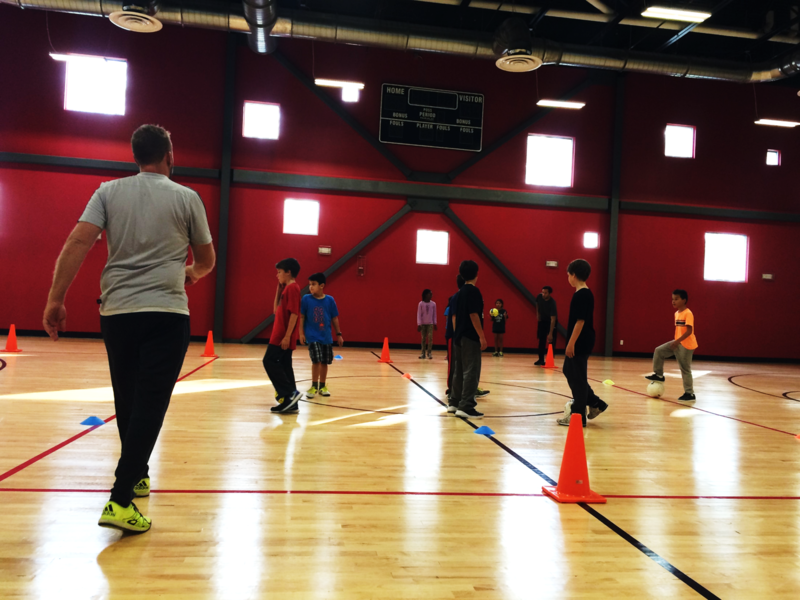 Physical Education with Mr. Heilbron was a blast. While we often utilize the outdoor fields across the street in Red Hook, we stayed inside to play a lively game of German Dodgeball. It was a change of pace compared to the one mile that students ran in gym class the prior week. Next up: the arts! We do not take electives lightly here at BASIS Independent Brooklyn. Students in 6th grade have their choice of a fine arts elective which they have daily for 50 minutes. This year they had the choice of drama, visual arts, music, and guitar. The time dedicated to electives provides an incredible opportunity for students to dive deeply into the discipline of their choice. Students who start the year never having held a guitar, for example, finish the year as proficient players able to play a wide variety of songs if they enroll in the guitar course. Students in visual arts, one of the classes I visited, were practicing figure drawing (and testing out their balancing skills!) and I thoroughly enjoyed the beautiful music emanating from both Dr. Wilson’s music room and Mr. Goldman’s guitar class. At lunch, students shared their enthusiasm for our hot lunch program as well as for the opportunity to socialize with their friends. Our student body is warm, welcoming, and inclusive; it is apparent in our robust peer tutoring program, ad-hoc support during the school day, outpouring of school spirit during Spirit Week, and especially clear at lunch. Our students actually wish they could all sit together – their one complaint is that tables aren’t big enough to accommodate all of their friends. 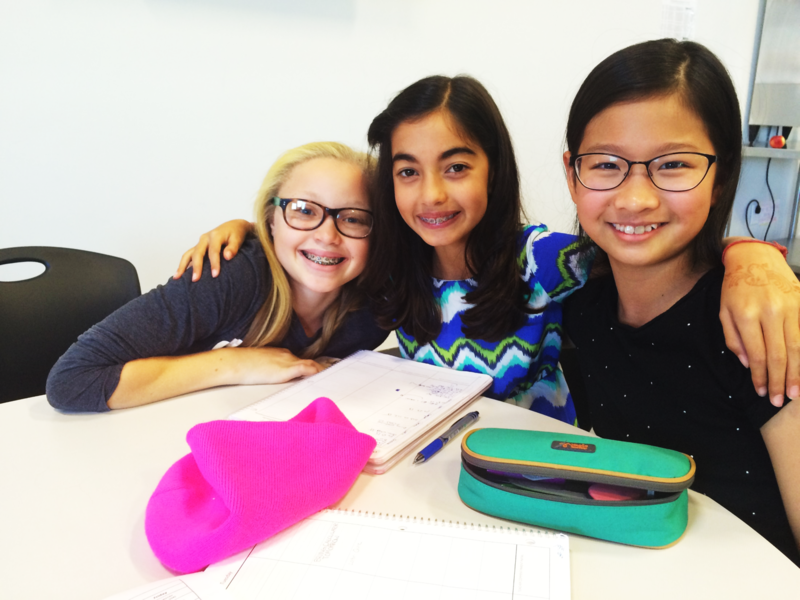 6th graders almost unanimously love A.E., or Academic Enrichment. This daily 20 minute period after lunch is often tailored to what students need the most support in. 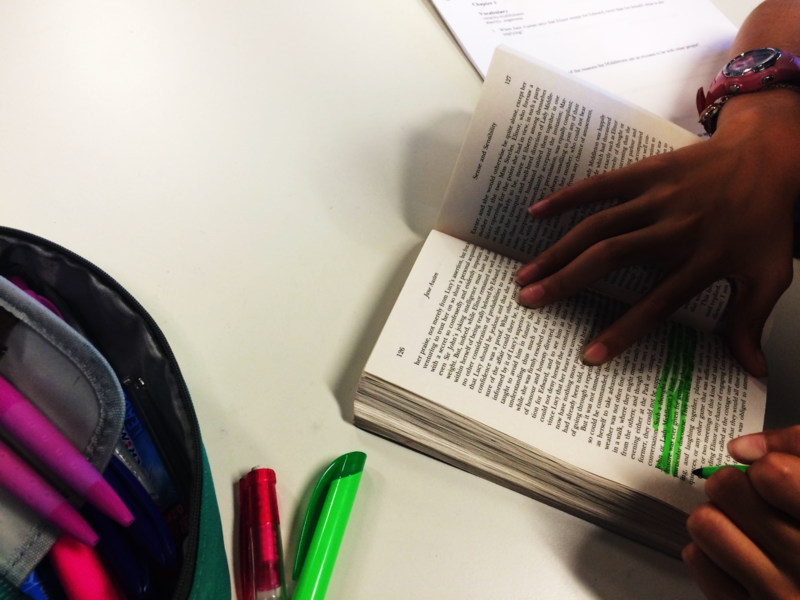 Says Yasmin, “sometimes the teacher does a quick lesson to explain something from class or it is just silent study.” Sometimes students use it to get a jump on their homework for the evening. Students’ enthusiasm for world history, their last class of the day, was palpable. They loved learning about and imagining what it was like to be present as part of the different cultures and time periods. The real star of the class, however is Ms. Zubia. “She is so nice and teaches so enthusiastically,” said one student. As for sports and extracurriculars, one student said, “there is a really big variety. Everyone has something to do. There is never the problem of kids saying ‘I’m so bored.’” The students I spoke to wanted to take advantage of our entrepreneurial approach to extracurricular programs, coming up with ideas for how to start their own student showcase program. I, too, was honored to be a 6th grade student at BASIS Independent Brooklyn for the day. I most certainly discovered that I have a lot to learn. 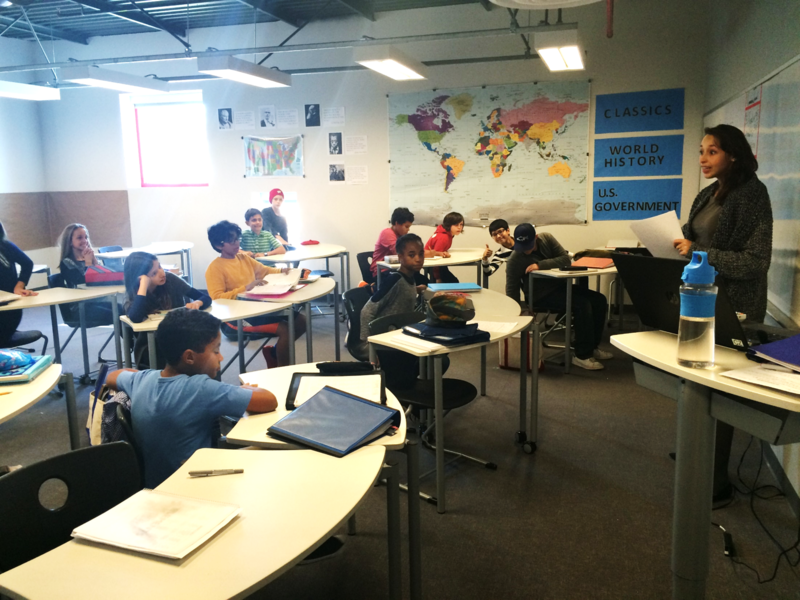 The combination of smaller class size, supportive and open fellow students, intellectually vibrant faculty, and a robust liberal arts, STEM-focused curriculum makes middle school at BASIS Independent Brooklyn pretty awesome. Special thanks to Yasmin in 6 Oxygen and all of her classmates for welcoming me to their class! Come have a look at middle school yourself. Join us for an upcoming Open House to meet members of our community and hear directly from 6th graders. All students who’ve submitted an application will be eligible to test the 6th grade waters via our Shadow Day program. Space for shadows is limited, so if you are considering applying to our program, do not delay. Apply now. *At BASIS Independent Brooklyn, all grade and class sections are name after an element on the periodic table. **All classes in 6th grade and above with the exception of Academic Enrichment and Lunch are 50 minutes long, with 5 minutes for students to regroup and travel to their next class.